피아니스트 김민지는 영국왕립음악원(Royal Academy of Music, University of London)에서 피아노 학사(Bachelor of Music, Honours Degree)를 졸업하였고 영국 트리니티 음악대학 동대학원(Trinity Laban Conservatoire of Music and Dance, London)에서 전문연주자과정(Postgraduate diploma) 및 최고연주자과정(Postgraduate Artist diploma)을 졸업하였다. Pascal Rogé 초청 Music Alps Festival에 참가 및 연주를 하였고 Daniel-Ben Pienaar, Bryce Morrison, Pascal Nemirovski, Pascal Rogé, Jerome Rose 등 세계적으로 저명한 피아니스트들에게 마스터클래스에 참가 및 연주를 통해 가르침을 받아 학구적이고 다양한 음악적 소양을 넓혀 나갔다. 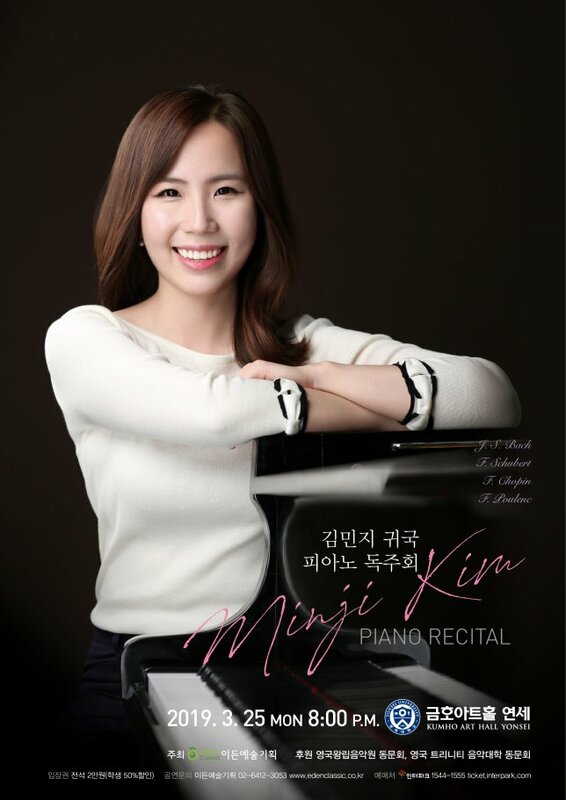 또한 그녀는 Lunch Time Concert(St. Lawrence Jewry Church), Informal Solo Piano Concert, Dukes Hall, King Charles Court, Chelsea and Westminster Hospital에서 암환자들을 위한 Charity 연주, Piano Focus Collaboration Project 연주(King Charles Court), Duo Piano Concert, 구 왕립해군사관학교(Old Royal Naval College - Chapel Hall), Palazzo Ricci(European Academy for Music and Performing Arts) Summer Piano Course 수료 및 Lunch Time Concert 연주 등 국내외 저명홀에서 독주 및 실내악 활동을 통해 활발하고 폭넓은 연주활동을 하고 있다. 2017년 현대곡 Collaboration을 중점으로 한 John Halford Competition에서 이탈리아 출신 작곡가 Yuri Demetz와의 협업(곡 제목 : Passacaglia)을 하여 우승작품으로 선정되어 영국 King Charles Court에서 연주를 한 피아니스트 김민지는 임상희, 채정원, 정지강, Mark Racz, Douglas Finch, Pascal Rogé, Martino Tirimo, Peter Tuite, Sergio De Simone를 사사하였으며 이번 귀국 독주회를 발판으로 연주자로서의 활동뿐만 아니라 후학양성에 힘쓰고자 한다.